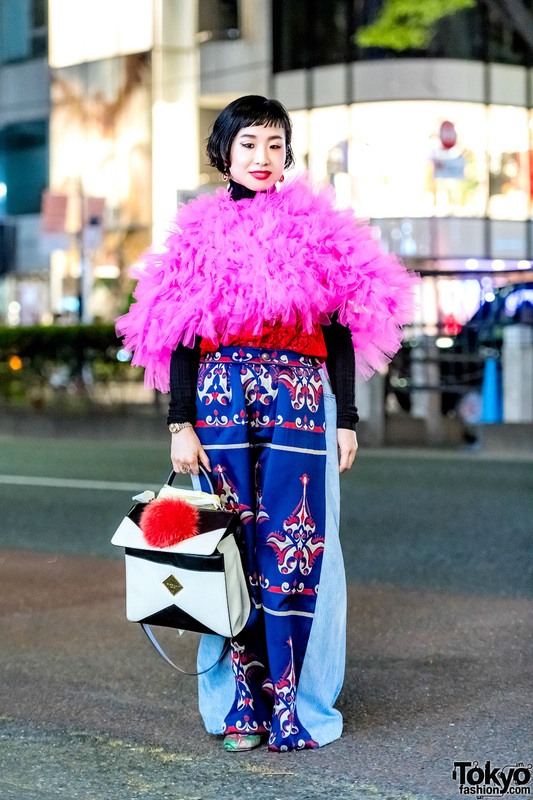 Japanese girl in colorful eclectic street fashion while out and about in Harajuku. 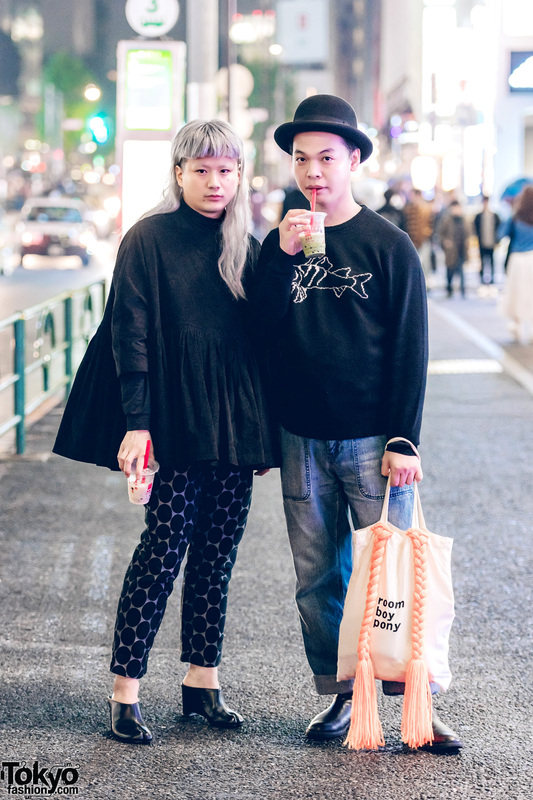 Popular Harajuku personalities Daisuke and Room Boy Pony out and about the streets for a casual walk. Harajuku model and actress in a vintage colorful fashion style with printed button down shirt, pink denim skirt, green socks, white mules with pink fur trim, and a quilted backpack. Rei Shito in Harajuku in a denim shirt with sequin skirt, varsity jacket, and mule flat shoes.